We are proud to have our CEO Nathan Hirsch talk about FreeeUp online hiring this past week in a segment of The Price of Business radio show, hosted by Bill Knapik! 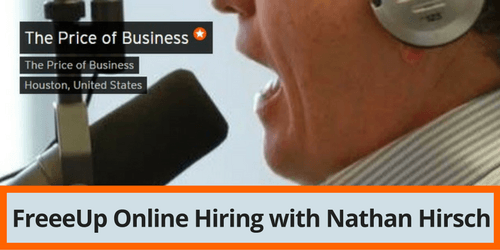 Listen to Nathan talk with Bill about FreeeUp online hiring and how it helps eCommerce business owners save time. Hear the FreeeUp process explained – taking on a lot of the hassles of the hiring process, making it super fast and easy to find the right worker for each task, and providing a safety net for business owners as they deal with a remote workforce. FreeeUp is a pool of the top 1% of online workers from all over the world, including the US, where Nathan and his assistants work to provide a reliable online workforce with protection for both sides, resulting in a comfortable and productive environment for all concerned. 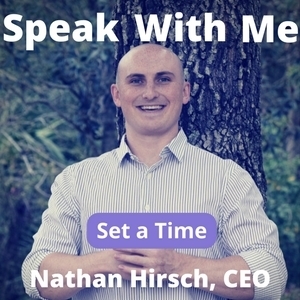 Nathan also talks about the new book, Free Up Your Business, and the other helpful content that is continually being published on the FreeeUp blog and on the Online Hiring Mastermind Facebook group. Click here to listen to the full podcast on SoundCloud.com.